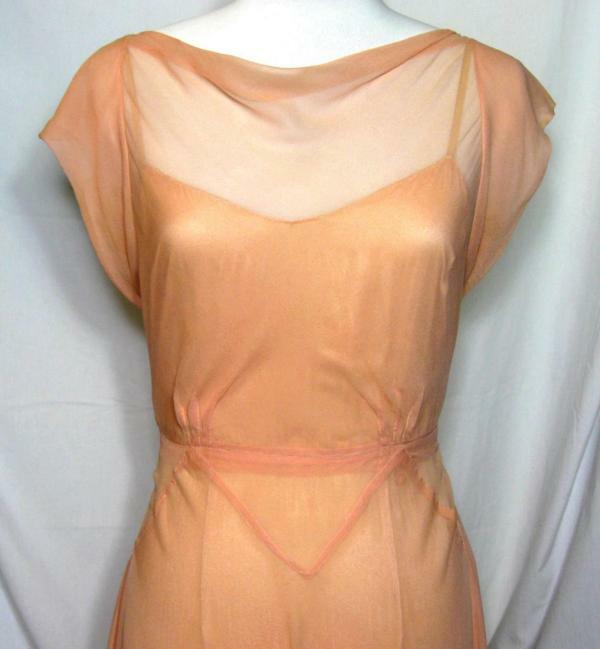 1930s NRA Label, Art Deco Peach Dressing Gown, Negligee & Slip. 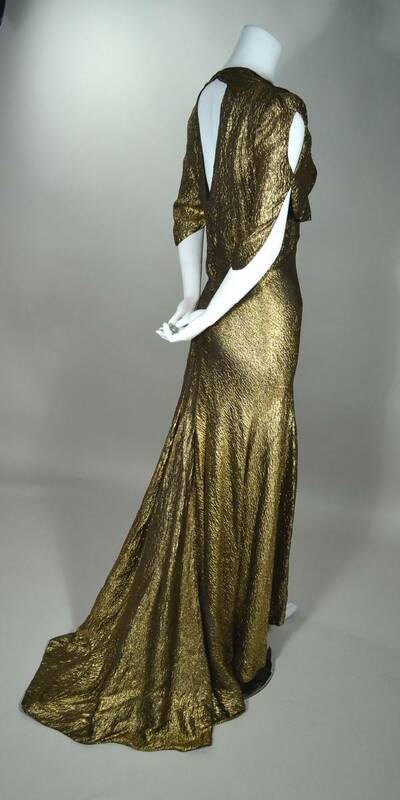 Marshall Field Curve Hugging, Bias Cut, Circa 1933. 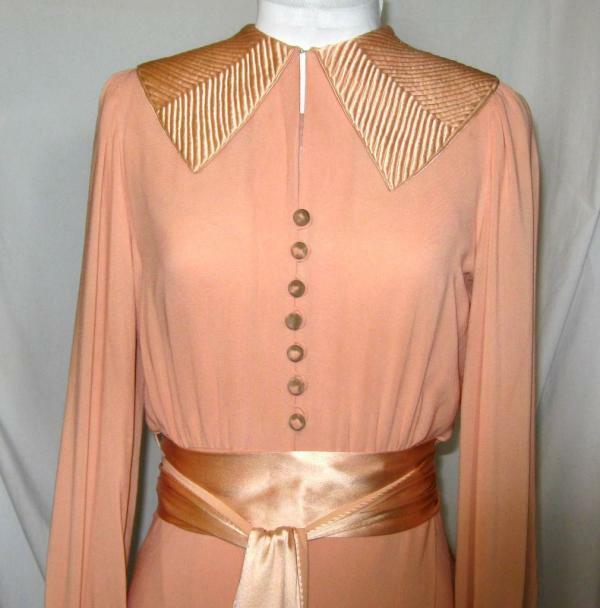 Classic Art Deco bias cut Peach (known as Tea Rose in the 1930’s) dressing gown, with matching negligee and slip designed to give you elegant, slimming silhouette. The dressing gown features trapunto Art Deco zigzag satin collar and dramatic wide satin rear insert and train, the negligee has a 230” sweep. 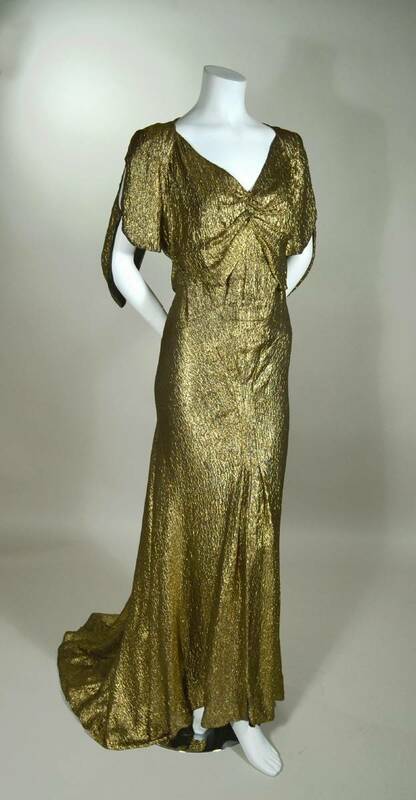 Late 1930’s metallic gold silk lame bias cut Art Deco evening gown. 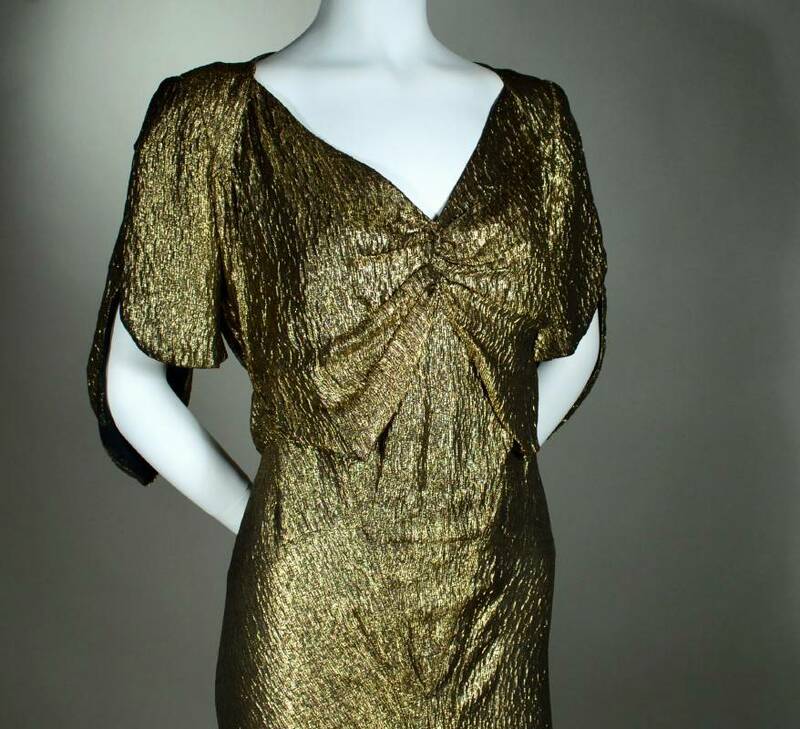 Gold lame with black silk backing. Deep plunging V neckline. Bow effect bodice draped and weighted from shirring at center front. Pieced high waistline with deep V front and back, drops into stitched down pleats. Sculpted modified capelet ½ sleeves with keyhole. Deep triangular cut-out at center back. Self button and loop closure center back at waist (11 buttons). Graceful train. Pink cotton lawn camisole attached at inner bodice. Shoulder pads. Hem faced with silk chiffon.